Below is the Round 5 pairings to be one of the three rounds played tomorrow. What a tough day for all the participants of the 37th Selangor Open. To all local chess enthusiasts out there, come to DAT Chess Center to celebrate the Labour Day holiday tomorrow. The top board tomorrow is the battle between our veteran and young top player. Between an IM and a FM. Between the defending champion and his very experienced opponent or challenger. In GiLoCatur opinion, the match may be the turning point or decider of the tournament. GiLoCatur will also be busy tomorrow at the tournament, LOL. Busy waiting both Fikri and Anis playing. So, can not sleep late tonight too. Need to wake up early since the first of the three rounds tomorrow will be at 9.00 am. Even though no zero waiting rule in effect, for a very tough tournament like Selangor Open all players must be on time to avoid time pressure problem. The Round 3 pairing, better view right? Most Round 3 games shall complete by now at 12.40pm. GiLoCatur is not at the tournament venue. So, GiLoCatur does not know what's going on there. Just got a phone call from Fikri. Both he and Anis have finished their games. Both drew with their opponents. Please take note the following for the first round pairing. 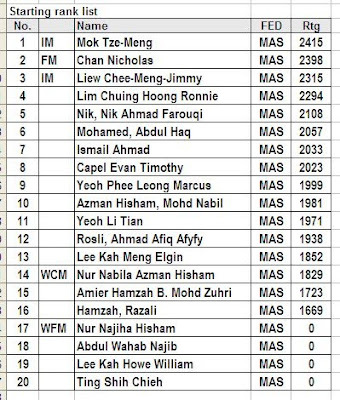 "For Rd 1, Mohd Hisham Hj Buang in table 35 did not receive a bye. He was paired against Ahmad Helmi Jaliluddin but lost. The Rd 1 pairing in the photo was not updated. Rd 2, he got a bye." Too small eh, can't really see? Double click at the picture for larger view. The 37th Selangor Open organized by the Chess Association of Selangor also known as CAS started today with the first round played at around 3.00 o'clock. The tournament is held at DAT Chess Center. About seventy, mostly local, chess players are participating in the four-day event. Two rounds will be played in the first day. Check out below pictures to have the glimpse of who are the participants. "HELP OUR CHILDREN FOR EXCELLENT FUTURE!" "OUR CHILDREN ARE OUR RESPONSIBILITY!" GiLoCatur hopes all the parents especially the Malaysians stick the above magic wordings in their heads and hearts. No doubt our children really really need our help and guidance to live in the nowadays challenging world. Why GiLoCatur said that? GiLoCatur is too sad reading lots of negative and bad stories about our children in the news papers like a teenage boy (same age with Fikri) in Kedah wants to make a suicide just because he cannot handle the peer pressure and the shame of being rejected. Also another case in another state few days later. And there are many many other "bugging" and sickening stories that about and related to the children. The BIG question is, DO WE PARENTS PRESSURE TOO MUCH OUR CHILDREN?? Let's think profoundly about it. If yes, why we as the well-educated and modern parents do it? Did our parents do the same to us before? No doubt, today parenting is more challenging and complicated since lots of influences that we need to face and combat. Can we make it as an excuse? GiLoCatur is also worried while parenting three children. Hopefully, by involving them in chess they can grow and become responsible and well-being adults. So, to all the parents, let's together always improve our parenting skills. Let's share, learn and guide each other for the betterment of our beloved children!!! 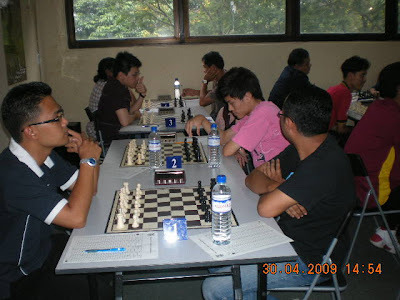 Ng6 (in red shirt) of http://ng6-17chessclub.blogspot.com/. His name is not listed to play. Difficult to get annual leave maybe. A "Mat Salleh" of South Africa also participated. GiLoCatur just want to refresh who are the last two editions champions of the Selangor Open. Surely many especially those who had participated still remember. Seeded second behind IM Mas, FM Nicholas won 6 and drew 2 games to score 8/9 points. 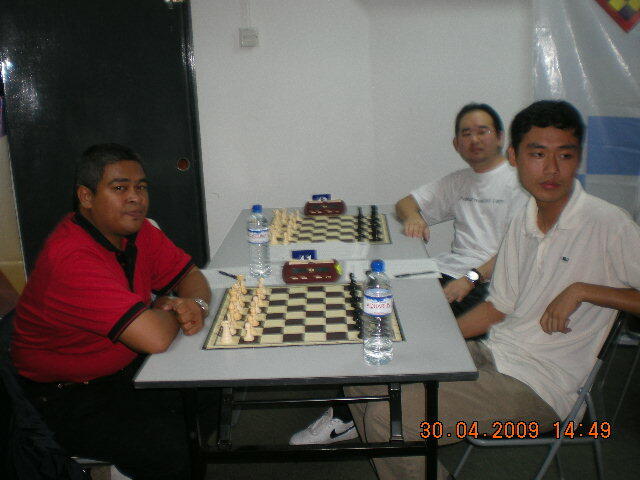 The opponents he drew were (then-FM) Yee Weng and Ian Udani in the fifth and seventh round respectively. He got the winning edge when he defeated the top seed in the sixth round. Will he defend the championship? It looks YES when GiLoCatur notices his name is among the pre-registered list as per published in the official blog of CAS. GiLoCatur did not see Mas and Yee Weng in the list. Maybe they are tight up with their work commitment. Even though did not play in the sixth round, IM Yee Weng still managed to win the 35th edition. He scored 7.5/9 points leaving Ronnie and Nicholas halfpoint behind. With 7 wins, 1 draw and 1 defeat (coz not playing), Yee Weng was crowned as the champion for the 35th champion. His fourth round is the turning point in GiLoCatur's opinion, when he managed to win against the top seed. Then he drew in the next round with the third seed and the eventual first runner up. So, who will it be in this year's 37th edition? Please come back again to find out. Based on the pre-registration list, GiLoCatur notices several new comers or first timers. One of them is Suniil Kalivanan, Fikri's teammate in the recent MSS Selangor Chess Championship. GiLoCatur also believes there are several players who make a comeback. So, see ya at the SELANGOR OPEN! A Chess Simul Under A Plane? Look familiar the above kids? Surely YES, at least to GiLoCatur. The two kids wearing green t-shirts are Nithyalakshmi and her elder brother, Subramanian, from Seremban. Both of them are the children of Mr Sivanesan and his wife. GiLoCatur salutes the committment, solid support and sacrifice from the couple for their children's passion in chess. GiLoCatur will bump into them in almost any local chess tournament. For sure, the ever smiling young couple has spent lots of their money, efforts and time for their beloved children to be what they are now. In the above picture, actually, Nithya and Subra were giving a chess simul to about 20 players each. The interesting about their chess simul is its venue. The chess simul is held under Boeng 777 plane, the first of its kind maybe. Hopefully, this event will spark more interest in chess especially in Malaysia. 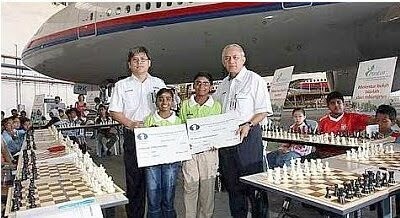 Furthermore, other Malaysian young chess talents and prodigy may have similar events to help promoting chess to be at par with football, golf and other "core" sports in this country. Well done and BRAVO to the Sivanesan siblings and their parents as well as MAS! Yes, SELANGOR OPEN is coming around the corner. It is about in one more week that many local chess players as well as several foreigners will battle their wits and perseverance in a FIDE-rated chess tournament that has a long tradition. It is not just a decade, or two decades but going to FOUR decades. The 37th edition in fact. Surely, the Selangor Open has its own long tradition. As in the past two editions, hopefully GiLoCatur will be around at the tournament in this year edition. GiLoCatur and kids started to participate in the 35th edition about two years ago (2008). That edition was known as The Royal Selangor Open and was held at the Royal Selangor. GiLoCatur with Fikri and Anis rushed to the tournament venue from Gombak after Fikri completing his 2008 MSS Selangor Chess Championship. In that edition, GiLoCatur came to know Yahaya Ahmad and his children. Also several other players who will come back every year to participate in the tournament. In 2009 edition, both Fikri and Anis also participated. BUT GiLoCatur did not. The reason is GiLoCatur just wants to concentrate and provide support to them. For this year edition, GiLoCatur had already pre-registered them. But not sure yet able to play because of few reasons. Fikri is currently in a boarding school, so approval for him to absence from or skip school is required. Furthermore, his exam is around the corner too. He had skipped school a week in this month already when participating in MSS chess tournaments. GiLoCatur believes this is the dilemma faced by Malaysian parents for their kids to be active in any kind of sports. Academic is still numero uno in this country. Doubt to live on sports earnings is very strong. The pressure to excel in academic is very big. Enough on that. Let's focus on the Selangor Open. GiLoCatur is happy to note that many players who participated in the past have already pre-registered. 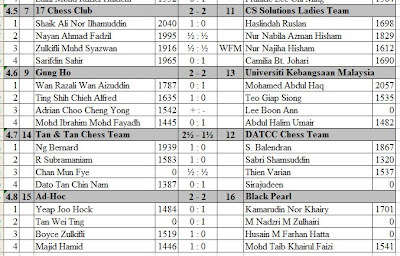 Check out the list at the official blog of the Chess Association of Selangor or Persatuan Catur Selangor. GiLoCatur will write more about the tournament in next postings. SO, LET'S PLAY IN THE SELANGOR OPEN. TWO MORE DAYS FOR THE CLOSING DATE. Check out here for the CAS Chess Calendar. 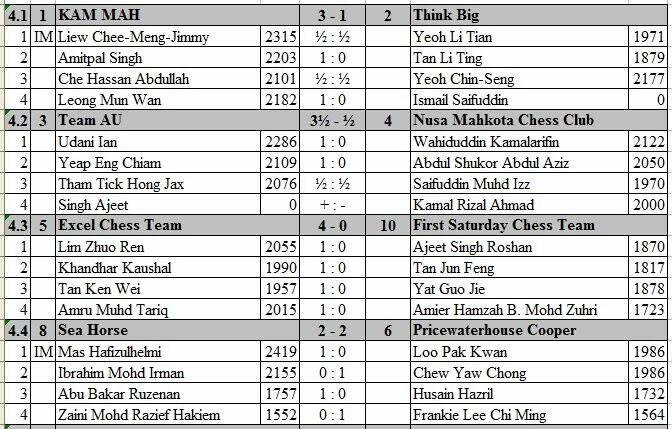 The above are the results of Round 4 of the DATCC 3rd KL Team Chess League. Sixteen (16) chess teams are participating. Three teams won convincingly in Round 4 - Kam Mah, Team AU and Excel Chess Team. Kam Mah won against Think Big who was anchored by the current chess prodigy, Li Tian. He managed to draw with IM Jimmy Liew on first board. The other point for Think Big came from Li Tian's father, Mr Yeoh Chin Seng who drew with Abdullah Che Hassan on the third board. 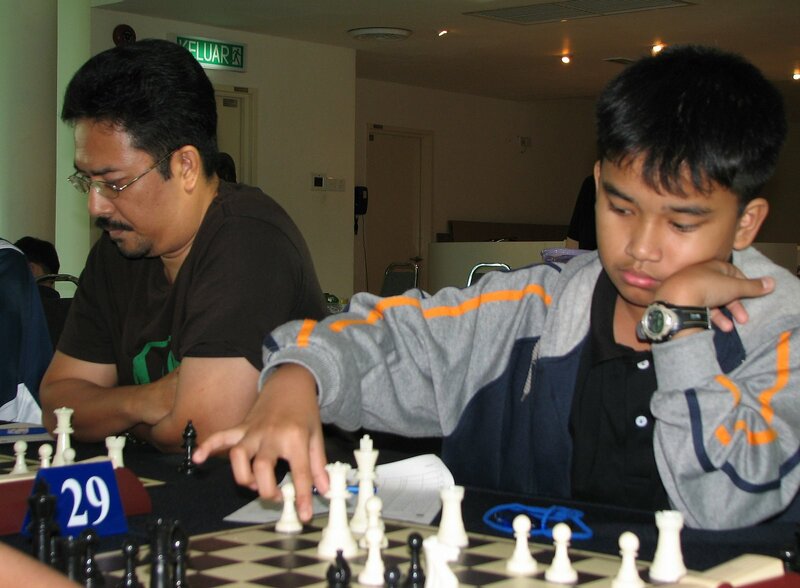 Muhd Izz Saifuddin of Nusa Mahkota Chess Club managed to score the only point (1/2) after a draw with Jax Tham of Team AU. While Excel Chess team led by Zhou Ren won all the four boards against their younger counterpart, First Saturday Chess team led by Roshan. Camilia who played the fourth board for CS Solutions Ladies team managed to upset Sahir from 17 Chess Club team. It is based on their FIDE ratings where the latter has more than 200+ ratings higher than the former. 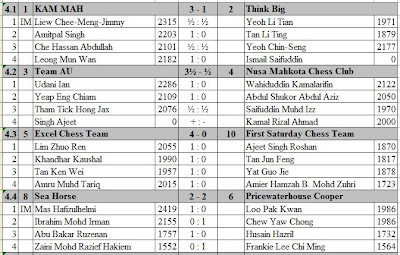 The above is the pairings of Round 5 for the DATCC 3rd KL Team Chess League. The top board match up shall be very interesting GiLoCatur believes. The battle is between Team AU (white) and Kam Mah (black). Happy moment for GiLoCatur's wife with Fikri and Anis after the closing and prize giving ceremony in the recent MSS Selangor Chess Championship in Sungai Besar, Sabak Bernam, the hometown of GiLoCatur. Happy moment for GiLoCatur when Fikri and Anis are among the winners especially Fikri as the champion of both individual and team events in Lelaki B15 section. The above pictures are dedicated to all the parents who support and sacrifice their time, efforts, and money for their children in whatever fields, sports and activities like chess. KEEP SUPPORTING, WITH FULL HEART, YOUR CHILDREN AND KIDS!! Wow! What a dazzling tree of lights in the above picture? GiLoCatur just found out about a unique city located in Shah Alam. It is called I-City which is situated near Section 7. As to GiLoCatur's research, actually I-City is situated in Section 8, Shah Alam. GiLoCatur and family visited it while on the way home from MSS Selangor Chess Championship in Sungai Besar. Then, in last weekend night we drove again to the city. Unfortunately, it was so crowded and jammed with many cars. We cancelled our plan to have a long visit where we want to walk through it to enjoy the enchantment of lights. The above picture is so beautiful, just that GiLoCatur's snapshot using the Nikon L14 Digital camera is not that great. (: A very amateur photographer, eh! LOL! What a scene it should be. So, to all the tourists and locals, visit I-City that will delight you with the dazzling light showcase whenever you are in Shah Alam. Berikut adalah gambar-gambar yang di"snap" oleh GiLoCatur sewaktu Kejohanan Catur MSS Selangor 2010 yang diadakan di SMK Sungai Besar dari 13 hingga 15 April yang lalu. Pelbagai kenangan - samada suka duka dan pahit manis, yang dialami oleh para pemain, guru-guru pengiring (PT, pengurus dan jurulatih) dan para ibubapa. Sungguh relax memandu ke Pekan Sungai Besar di waktu pagi. Tiada traffic jam, tidak seperti di bandar-bandar besar seperti KL, Shah Alam dan JB. Restoran ni memang menjadi favourite GiLoCatur. Sesuai dengan citarasa GiLoCatur. Lagi pun seronok bercakap2 dengan tuan punya restoran, Abang Rashid, yang pandai bercakap dialek Kampar walaupun dia seorang "kulaan" atau Banjar. Pagi sebelum bermula kejohanan, GiLoCatur pekena Roti Telur di Restoran Rashid. GiLoCatur breakfast sorang-sorang aje. Cuba perhatikan roti canai di atas betul-betul. Ada berbeza tak dengan yang kat kedai2 mamak tu? Pukul 8:15 pagi, GiLoCatur dah sampai ke tempat kejohanan iaitu di Sekolah Menengah Kebangsaan (SMK) Sungai Besar. Kereta kena park kat luar, tak boleh bawak masuk. Lensa sebelum kejohanan bermula. Ada yang hanya duduk-duduk bersembang. Ada yang buat warm-up session. Cikgu Mizi (kanan) dari Daerah Kuala Langat. Sedang duduk bersantai-santai di pintu masuk dewan tempat pertandingan. Di hari pertama, para pemain bertarung empat (4) pusingan. Setiap pusingan maksima 2 jam iaitu sejam bagi setiap pemain. 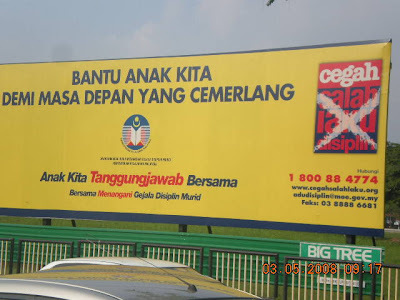 Para pemain terpaksa mengharungi secepat-cepatnya 2 jam dan selewat-lewatnya 8 jam di hari pertama kejohanan. Memang menguji ketahanan minda dan fokus para pemain. GiLoCatur believes many are wondering who are the "Mat Salleh" fella and two teenage boys in the above picture. They do not look like typical Malaysians but the boys are in Malaysian school uniform. Actually, the "Mat Salleh" is known as Ibrahim Nash. He is an American who is married to a Malaysian wife. He loves chess and very occasionally play in local chess tournament. GiLoCatur has been seeing him in MSSD Petaling Perdana chess tournament for the last few years. He stays in Section 9 Shah Alam where his kids are studying in the primary and secondary schools there. This year GiLoCatur bumped into him in the MSSD Petaling Perdana both primary and secondary schools. One of his boys was playing in Under 18 category while another was playing in Under 15. Meanwhile, his daughter was playing in the primary school championship held at her school. Not a bad result actually for his boys when they seldom play in local chess tournaments, just once a year in the scholastic championship. What really impresses GiLoCatur about Nash is that he is very supportive of his children playing chess. He will guide, monitor and motivate them passionately. Such dedication and effort shall be a role model to other parents. And GiLoCatur is confident that Nash will be around in next year's MSSD Petaling Perdana tournament where Insya Allah we will meet each other again to support our kids. 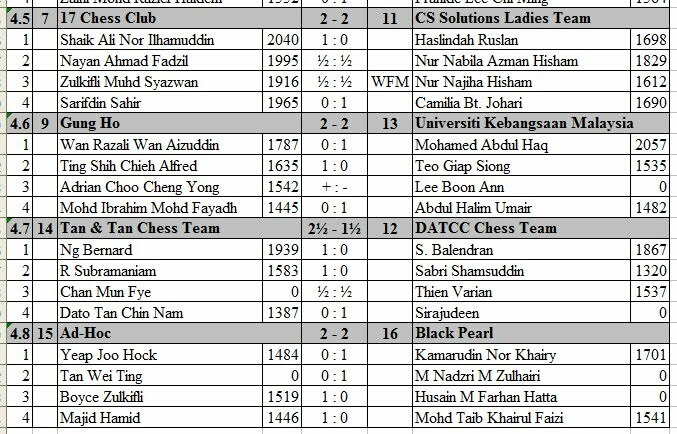 Selangor state level chess championship just completed last week. The scholastic chess tournament participated by all the ten districts representatives was held from 13 to 15 April. 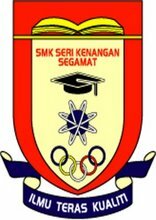 The venue of the tournament is at the hall of SMK Sungai Besar, a secondary school in Sabak Bernam district. In fact, Sabak Bernam is the hometown of GiLoCatur. So, how is the final results? Check out at http://selchess.blogspot.com/2010/04/puteri-rifqahmohd-fikri-farizalamira.html to view the final ranking for each of the six categories. Basically, there are three categories - primary school (Under 12), lower secondary (Under 15) and upper secondary (Under 18). For each of the three categories, it will be divided between Boys and Girls sections. Therefore, there are six in totals. Who are the individual champions for each category? GiLoCatur will sum up here. Go to here to see the faces of MSS Selangor Chess 2010 champions. In U12 Girls, Nur Najiha and the two Puteri siblings were the favourites. At the end, Puteri Rifqah emerged champion. She has same 6/7 points with Najiha but she is declared the champion based on the PE (personal encounter) which is the first tie break. In U12 Boys, Mohd Fikri and Mohd Noor Azam were the favourites in the absence of Yeoh Li Tian. Other players like Tin Jun Hao, Leong Zhi Chen, and Ethan Wong (just to name a few) made the competition tougher. Finally, by scoring 6/6 points Mohd Fikri won leading by 1/2 point. In U15 Girls, Nur Nabila added the competitiveness to this section coming from the primary section. She is one of the favourite players besides the eventual champion, Amira Syahmina. It is quite interesting results in this section. Vickie, Nur Farihah, Dhanusha and Nurul Adlina as well as Seri Aishah were among the top players in this section in GiLoCatur's opinion. In U15 Boys, as in other sections this one is also very competitive and challenging. In the absence of last year top players - Nabil, Syakir and Jun Jian, Tiang Chang Sheng, Hassan Al Bashri Sarip as well as Low Jun Keat and Fikri Saleh were competing to be the champion. Strong new comers from the primary section are Irfan Haqqim and Roshan Singh. After seven rounds and two days of competing, Fikri Saleh emerged champion with 6/7 points leading the two 1/2 point. In U18 Boys, the three strong new comers - Nabil, Syakir and Jun Jian, provided the tough challenge to Nabil Fikri and Chek Kin Leong, the top two seed based on last year's standings. True enough they dominated this section. Eventually, Nabil won this section by scoring 6/7 points. GiLoCatur would like to congratulate all the winners especially the above champions in each of the six categories. They had fought hard in the championship. To those who are not among the winners, DON'T GIVE UP! Practice and learn more. Keep participating in local chess tournaments and come back again next year stronger and well prepared. 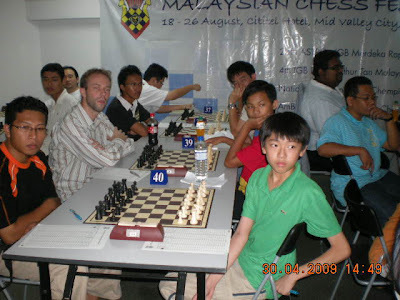 Check out also here for more stories and pictures of the MSS Selangor Chess 2010. GiLoCatur has very limited time at this moment due to some personal commitments and matters to take care of. Furthermore, MSS Selangor state chess championship is currently ongoing. Today will be the second day and very critical and important last three rounds. Two of GiLoCatur's children are participating. Fikri played well yesterday and scored 4/4 points. He needs to continue his winning momentum today. Anis, on the other hand, also played very well up to the third round. In her final round yesterday, she lost a crucial 1 point to her own team mate. Before Round 5 today, she has accumulated 3/4 points. Hopefully, both of them will have good results today. Surely, GiLoCatur is nervous while they are battling on the chess boards. By the way, check out http://mssm2010.blogspot.com/ for the latest updates. Yesterday, Saturday 10 April, GiLoCatur participated in the UiTM Chess Open. UiTM is a local university which the main campus is located in Shah Alam. GiLoCatur is an alumnus of the university which during GiLoCatur days was just known as ITM, not a university yet. GiLoCatur was a student of KPP/ITM then TIEC, a consortium with Texas State Education, back in late 80's. 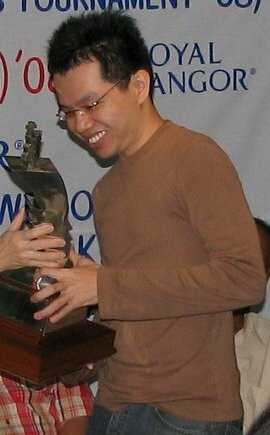 Eventually, GiLoCatur played against a nemesis opponent, Fauzi Ahim, one of the Friday night sparring players. Yet rated but Fauzi has the strength of 1400 to 1500 player which is about 200 to 300 higher that GiLoCatur. Before the game, we provoked each other and made our chess match a personal battle. Each of us was concentrating and focussing on our game to outwit each other. We fought hard against each other to avoid the humiliation and torture after the defeat. What is the final outcome? GiLoCatur lacked a tempo to checkmate Fauzi. He outsmarted GiLoCatur with a trap using a Queen and a rook. For sure, our personal battle and chess encounter will not stop here. We will battle again in other chess tournament. Come to visit this blog regularly for our next encounter. The champion of the tournament is Syakir Shazmeer who won 6 and drew one to accumulate 6.5/7 points. For the final standings, go this link. About 74 players participated which include adults and juniors. Several district chess players whom will participate in the Selangor MSS chess championship in Sabak Bernam next week also took the opportunity to have a warm up session by entering the tourney including two of GiLoCatur's beloved children. Please come back later for the photos of the tournament. This week is a very hectic one for GiLoCatur. All three of GiLoCatur's children participate in the district scholastic chess tournament called MSSD. Luckily, all of them are in one district which is PETALING PERDANA. For information, Selangor has 10 districts based on PPD which is the District Education Office. Especially yesterday which was also GiLoCatur's birthday, GiLoCatur had to juggle between work and family matters. Furthermore, few relatives from Sumatera including an aunty are coming to visit us in Malaysia. Therefore, the birthday celebration within the family is put on hold. The eldest son had participated in the secondary school. Alhamdulillah, he managed to win the silver medal or second place in the Under 15 Boys category. He will represent the district in the state level championship next week in Sungai Besar in Sabak Bernam district the home town of both GiLoCatur and wife. Today is the important day for the other GiLoCatur's two kids - Anis and Fahim. The former has accumulated 5 points in the Under 12 Girls category while his younger brother has 2.5 points. Surely, as a parent, GiLoCatur is very nervous and concern about them participating in the tournament. To those who want to get the latest updates on MSSD Petaling Perdana, please go to http://mssm2010.blogspot.com/, a dedicated blog for MSSM Chess Championship. Tomorrow will be an important day for secondary school chess players of PPD Petaling Perdana including GiLoCatur's eldest son, Fikri. 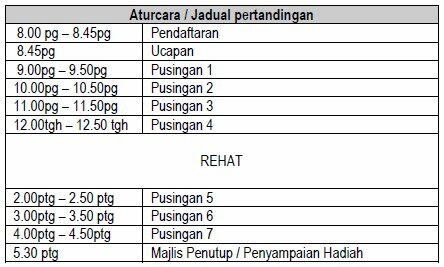 The two-day chess tournament will be held at Sekolah Menengah Seksyen 2 Shah Alam. GiLoCatur will try to write about the tournament and provide latest updates if possible. Please check at http://mssm2010.blogspot.com/. In Kota Bharu, its MSSD chess tournament had ended today. The tournament was also held for two days. For the latest update, please visit and check Badbishop's chess blog. Come this April 7, the Malaysian chess community has the opportunity to see several foreign Grandmasters battle on chess boards in our soil. About twenty (20) Malaysian chess players will get the chance to play among the titled players. How many titled players will participate? As of 1st April, 62 titled players including 12 GMs, 4 WGMs, 20 IMs and 3 WIMs are among the players list. Malaysia has 5 titled players participating. 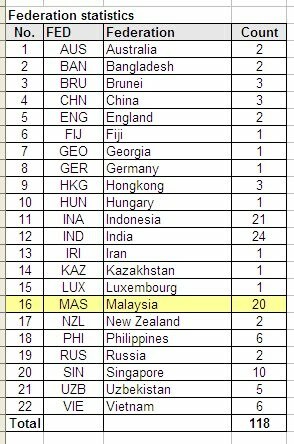 Only three countries are represented by more than 20 players - India and Indonesia are the other two besides the host country, Malaysia. IM Mok will lead the Malaysian players. He is the only one who are among the 2400s Elo ratings. FM Nicholas Chan is not far behind. Out of 20, only four is yet FIDE-rated. GiLoCatur hopes all the four will get the FIDE-ratings in this tournament. Among the list, there are Azman Hisham siblings and Lee brothers. Only two women, actually young ladies among the Malaysian group. GiLoCatur notices that it is about equal for both seniors and juniors. GiLoCatur hopes all our players have made enough preparation both physically and mentally. Be confident, brave and strong especially to debutants and juniors in facing strong opponents. Surely, precious experience and exposure will be gained in the tournament. BEST OF LUCK! SELAMAT BERJUANG & BERJAYA! Kepada semua pemain-pemain catur Malaysia. 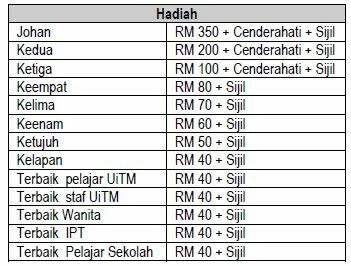 Jika anda mengambil berat dan mengambil kira tentang chess tournaments yang bertaraf rated samada MCF national-sanctioned atau FIDE-rated, sila semak status setakat 30 Mac di link ini. Rating merupakan ukuran prestasi seorang pemain catur. Justeru itu, amat penting sekali ia diberi perhatian sewajarnya. Jika sebelum ini ramai yang kecewa kerana tournament yang disertai ingatkan rated, tetapi tidak rupanya. Diharap selepas ini, kekecewaan-kekecewaan sebegini dapat dihindarkan dengan menyemak status sesuatu kejohanan atau pertandingan catur dengan MCF. Dan jika anda ingin tahu agak-agak berapa rating anda sepatutnya, bolehlah mencuba di laman ini. Nak tahu berapa estimated rating GiLoCatur? Jawapannya adalah 1475. Masih jauh lagi kembara catur GiLoCatur sebenarmya. MCF-rating terbaru GiLoCatur ada sedikit peningkatan sebanyak 61 point iaitu dari 1172 bagi Bulan Januari kepada 1233. Misi GiLoCatur bagi tahun ini ialah untuk mencecah rating 1300. Ini bermakna, GiLoCatur memerlukan 67 point lagi. Adakah GiLoCatur akan berjaya? 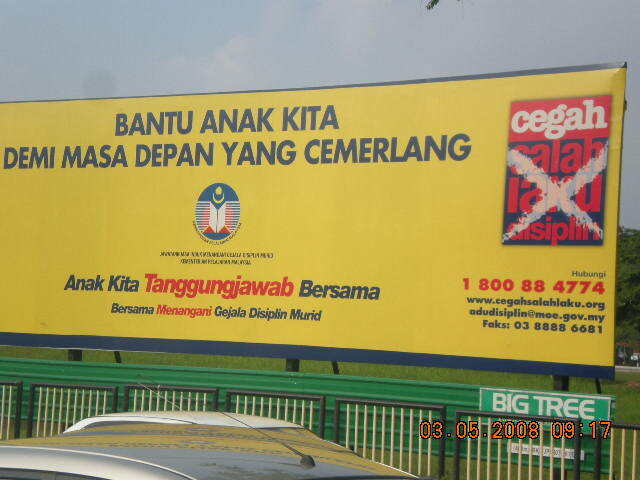 Kita tunggu dan lihat di hujung tahun 2010 nanti. Today is 1st APRIL. Everyone knows that right? So, why GiLoCatur wants to talk about it? It is the first day of this month. For GiLoCatur, the month of April is very special. Because it is in this month that GiLoCatur was born 42 years ago. In a street called "Jalan Sultan", in a village called "Sungai Tengar", in a district named Sabak Bernam which is situated in the northern part of Selangor. Besides that the date is also very famous as "The APRIL FOOL". GiLoCatur believes many know about it. Even some will do hoaxes and prank acts to their friends and family. Many events occurred on 1st April. Do you know that Google officially launched GMAIL to the public on this date six years ago? Check out this link if you want to know what else happened and occurred on 1st April. The kids will participate in the MSS chess tournament held in this month. Both Anis and her younger brother, Fahim, will be playing in the primary school section at SK Seksyen 9 on 7th and 8th. While their elder brother, Fikri, will begin his MSS quest on next Monday, the 5th day. He will battle on the chess board for two days. On Sunday before, his school will hold a sports event, if not mistaken, at the Matsushita Stadium. Then, if they manage to represent Petaling Perdana in the state-level championship, they will be in Sabak Bernam between 13th and 15th. Last year both Fikri and Anis played in the MSS Negeri Selangor chess championship in Sepang. What else? There will be back-to-back chess tournaments in Shah Alam. Next week on Saturday (10th), UiTM will organize a chess rapid tourney at its Melati College. Then, on the following Sunday (18th) a chess tournament will be held in Section 31. The tournament is known as "Pertandingan Piala Catur MPP Zon Selatan Shah Alam". In this month also an international-standard chess tournament will be held in this country where few super GMs like Hou Yifan and Mchedlishvili Mikheil will participate. 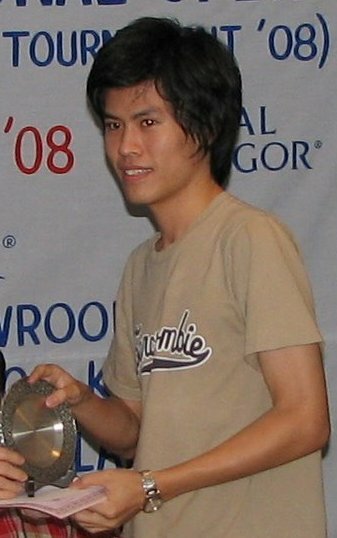 The 9-round tournament is known as The KL Open (3rd edition). The first round of the tournament will be played exactly on GiLoCatur's birthday. Immediately after the tournament, another international-standard tourney might be held. The tournament will include only titled players of both sexes - GMs, IMs, WGMs and WIMs. It would be another week of high quality chess. SO, SELAMAT DATANG BULAN APRIL! or welcome the month of APRIL. Just to remind about the 2nd leg of Segamat Chess Grand Prix this weekend. Check the list of players registered here. Limited to first 120 participants.